Fixing the CIA is a tall order, but it can be done. Settling in at the Central Intelligence Agency, Director John Brennan has some tough choices to make. An immediate one, according to an important article in The Washington Post, will be the fate of the agency’s clandestine services director (i.e., covert operations chief), who is tangled in the CIA’s past role as brutal interrogator and torturer. 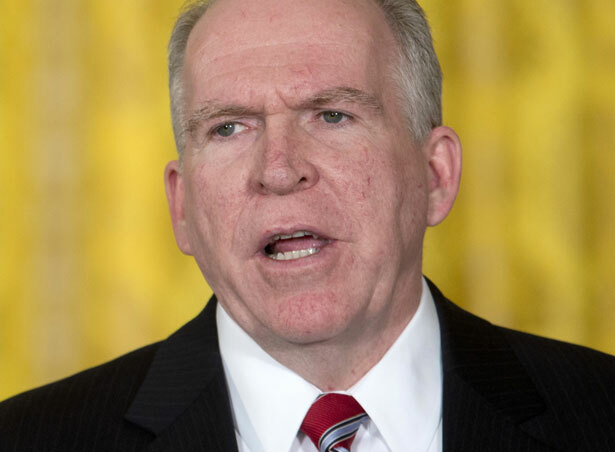 But a more important, and longer range decision, is what Brennan will choose to do about the agency’s preoccupation, or obsession, with drones and with pursuing kinetic, counterterrorism actions as part of what is no longer called the “Global War on Terror.” The CIA’s too-heavy focus on military-type operations, drones and covert wars that have long since reached their sell-by dates has weakened, perhaps fatally, the CIA’s ability to actually find out stuff, and therefore inform the president of what’s happening around the world. That’s the conclusion of an important new (classified) report prepared for the CIA by a panel of experts that included, significantly, Chuck Hagel, before he was named secretary of defense. Let’s start with the unnamed woman who runs covert ops. [Earlier] a woman had been placed in charge of the CIA’s clandestine service for the first time in the agency’s history. She is a veteran officer with broad support inside the agency. But she also helped run the CIA’s detention and interrogation program after the Sept. 11, 2001, attacks and signed off on the 2005 decision to destroy videotapes of prisoners being subjected to treatment critics have called torture. The woman, who remains undercover and cannot be named, was put in the top position on an acting basis when the previous chief retired last month. The question of whether to give her the job permanently poses an early quandary for Brennan, who is already struggling to distance the agency from the decade-old controversies. Along with another covert ops chief, the person in question coauthored the decision to destroy videotape records of CIA-led interrogations at secret prisons in Thailand after 2001, says the paper. Brennan needs to get rid of her, and fast, if he and President Obama are serious at all about clearing the air on CIA actions during the George W. Bush era and on the current mishmash of policies that govern drone strikes in Afghanistan, Pakistan, Yemen, Somalia, North Africa and (soon, see below) Syria. The CIA has stepped up secret contingency planning to protect the United States and its allies as the turmoil expands in Syria, including collecting intelligence on Islamic extremists for the first time for possible lethal drone strikes, according to current and former U.S. officials. The Central Intelligence Agency is expanding its role in the campaign against the Syrian regime by feeding intelligence to select rebel fighters to use against government forces, current and former U.S. officials said. … The expanded CIA role bolsters an effort by Western intelligence agencies to support the Syrian opposition with training in areas including weapons use, urban combat and countering spying by the regime. So, for Brennan, as he reviews the CIA’s covert ops, a big question is: Does he want an Afghanistan-1980s-style war in Syria as his first big engagement? A panel of White House advisers warned President Obama in a secret report that U.S. spy agencies were paying inadequate attention to China, the Middle East and other national security flash points because they had become too focused on military operations and drone strikes, U.S. officials said. That would be a good start. But the real question is: What kind of CIA ought the United States have? Some liberal-left types might argue to abolish it entirely, but that’s both impractical and a bad idea, anyway. Instead, the CIA ought to be president’s eyes and ears, allowing him good, accurate and reliable information about what’s happening out there in the wide world, without caving in to the latest gossip, pressure from hawks and neoconservatives, and ending up with “slam dunks” like George Tenet’s egregious miscall in advance of the war in Iraq in 2002. Read Robert Dreyfuss on a former general and friend of Obama who warned of blowback to the US drone program.